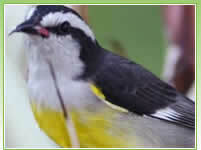 Whether you are a novice or an established bird watcher, this tour is designed to explore your interests. Your guide?s experience and knowledge of bird sounds, habits and identification make it an enjoyable event for all levels. The tour can focus on target birds or just enjoy visiting various habitat areas including different forest types, ponds, seashore, wetlands and the Bahamas National Trust nature reserves. 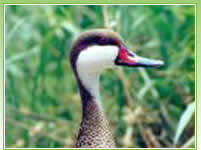 Sightings of the peculiar variety of bird life will vary depending on weather, accessibility and bird movements. Some of the more common sightings include White Cheeked Pintail, Caribbean Dove, Bahama Woodstar, Cuban Grassquit, Cuban Pewee, Loggerhead Kingbird, Red Legged Thrush and Bahama Mockingbird. Binoculars, spotting scope and field guides are included in the tour. There is a minimum of 2 people required for this tour. The maximum number is 6 passengers. This trip is not available on December 25th.